8 cm (3.3") HiFi fullrange driver. Linear frequency response between 200 and 20.000 Hz. Suitable for surround effect speakers, mini sub/sat systems. 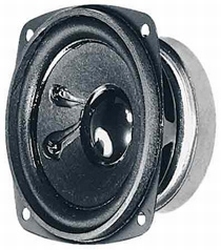 Due to the small size very suitable for model construction and as control speaker for electronic devices.